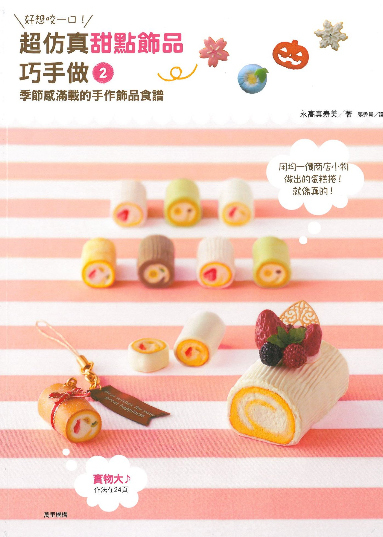 This is the latest clay sweets book out in the market! A fabulous book for intermediate as well as advanced crafters who wish to learn to sculpt miniature clay sweets (using different types of air dry clay) and use them as dollhouse miniatures or turn them into other wearable accessory items or home decor items such as photo frames. This was originally written in Japanese, but rights have been bought to translate it to Mandarin. Full coloured high quality pages. A total of 86 pages. Last 2 pages are the patterns which can be traced onto tracing paper or cardboard to be used as your pattern. Although this book is entirely in Mandarin, but the photos are very clear so users will be able to follow the steps. Shipping for this item will be US$6.50. Shipping price will be included in the paypal invoice.